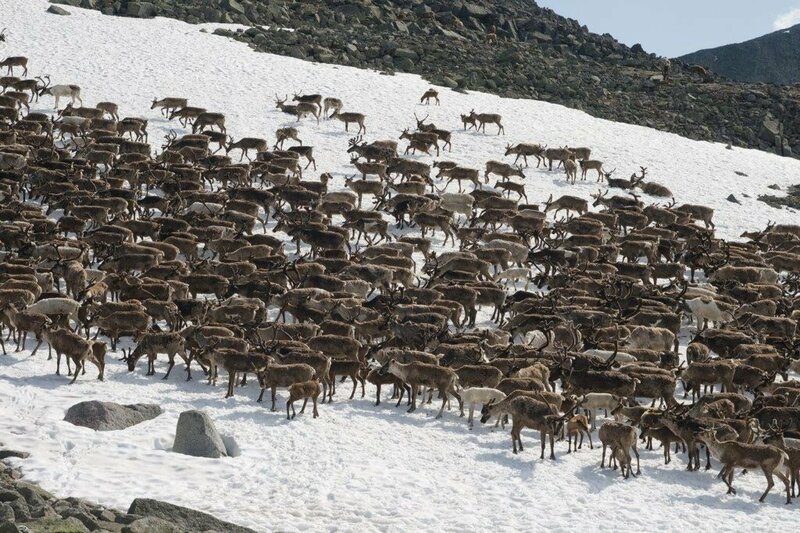 Surveillance and eradication efforts towards Chronic Wasting Disease (CWD) in Norwegian free-ranging reindeer proceeds. Around 700 animals were taken out during the 2017 hunting season, leaving some 1500 animals to be handled by professionals. All animals taken out will be tested for CWD by the Norwegian Veterinary Institute. From this, the government will be provided with knowledge of the disease prevalence in the area. Sampling will further give opportunities for research and increased understanding of this severe disease in cervids. Since the detection of CWD in 2016, Norway has sampled and analysed around 29.000 individuals across the four species; reindeer (Rangifer tarandus tarandus), red deer (Cervus elaphus atlanticus), roe deer (Capreolus capreolus) and moose (Alces alces). CWD has so far, in November 2017, been detected in eight free-ranging reindeer, three moose and one red deer. See interview with Jørn Våge, CWD coordinator at the Norwegian Veterinary Institute.